Twist n Clip styling tool is the best way to holds your hair up all day. 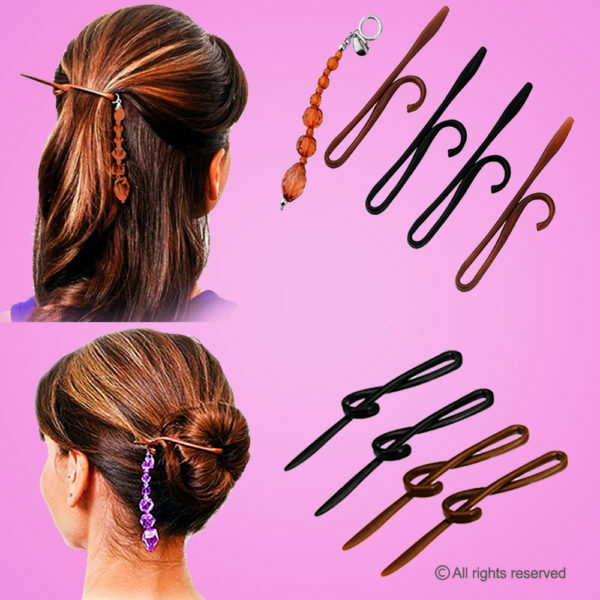 Twist and Clip, Telechoice, is comfortable, easy to use and won’t damage hair. 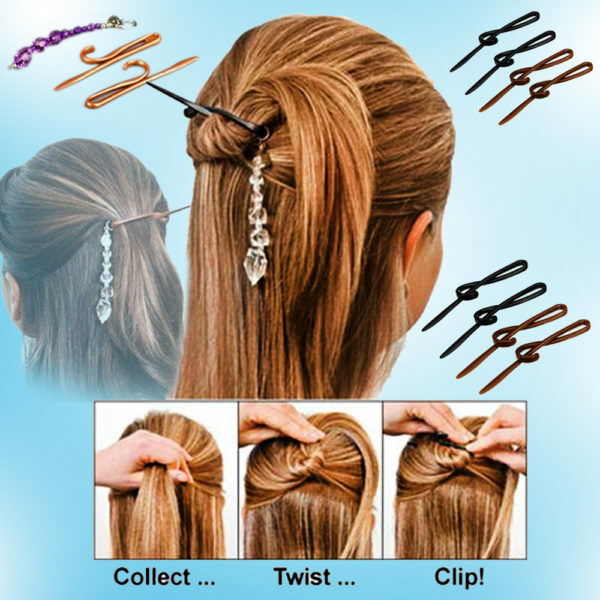 Just gather you hair in a pony tail, twist, slide Twist n Clip through your hair like a giant bobby pin and lock it like a safety pin. 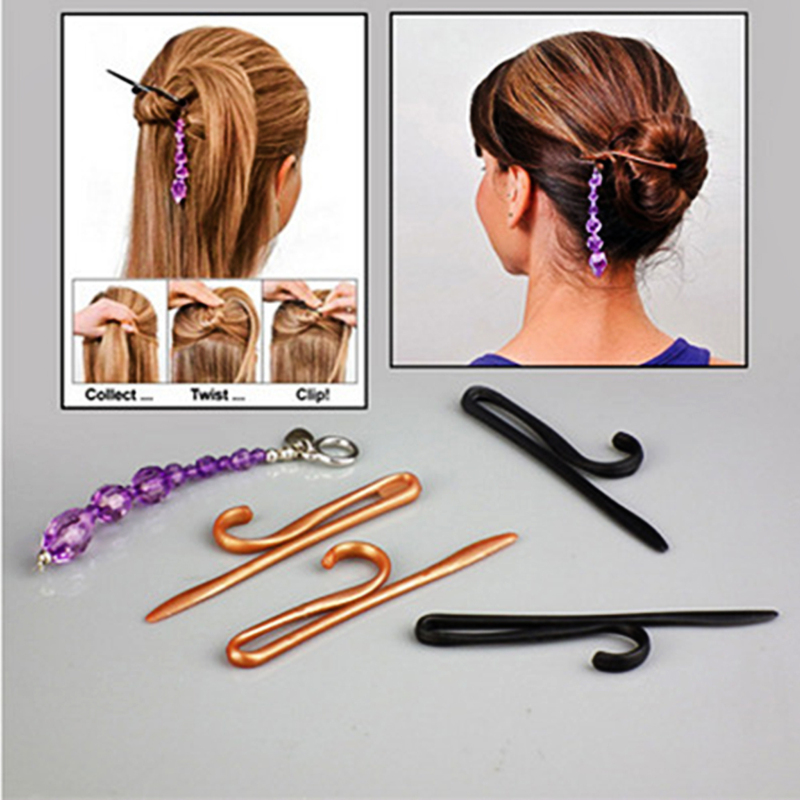 Twist n Clip hair clip holds your hair all day and night. Twist and Clip adjusts to any hair type – thick and curl to thin and whispy. 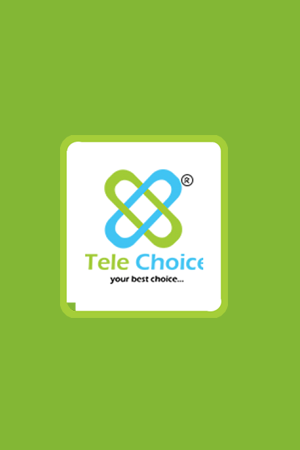 Warranty: 1 Month Vendor Warranty against Manufacturing Defects.